Cleaning up and maintaining your Android phones are the most essential thing you have to do periodically. Even if you have few numbers of apps or files, your Android device will slow down after some time. It is because of the App caches, residual files, junk files, and Garbage files. It is Headache when you have to clear that junk files separately. Isn’t it? 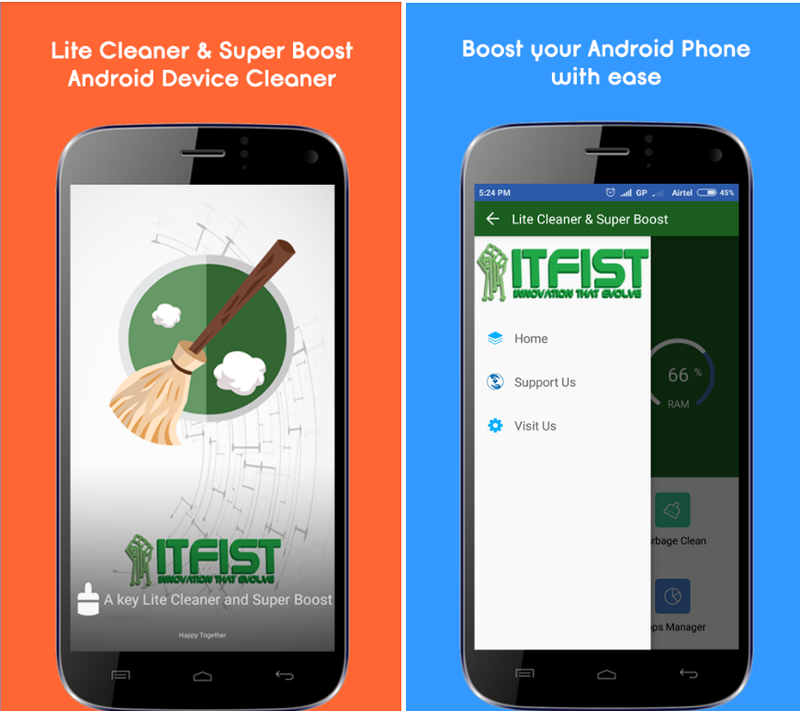 In this review, we present you the best app, “GREEN Control Cleaner & Boost” that will help you to maintain your android devices, it could be the smartphone or tablet. What is special about GREEN Control Cleaner & Boost? GREEN Control Cleaner & Boost is an all-in-one package that cleans out your Android device. It removes junk and improves performance of your device. This app is multifunctional because it does not focus on only one thing. This app has application manager, which you can use instead of using the regular app manager on your device. With removing junk feature, it is possible now to create more space on the device. Furthermore, this means that the users can expect better performance from their device. In addition to removing junk files, users can also trigger a memory boost. This unique option allows users to speed up the device and free RAM memory with only few clicks. Users can expect better performance from their apps and forget about freezing and crashes. App Manager is another great option and that is the app manager. Unlike the built-in app manager, this one provides few more options making the whole process of uninstalling unwanted apps easy in a very convenient way. You can download this great app to Android OS devices and can be find on the official Google Play Store. You can use this link to download this app for free.